Heavy rain is affecting farm yields across the state. 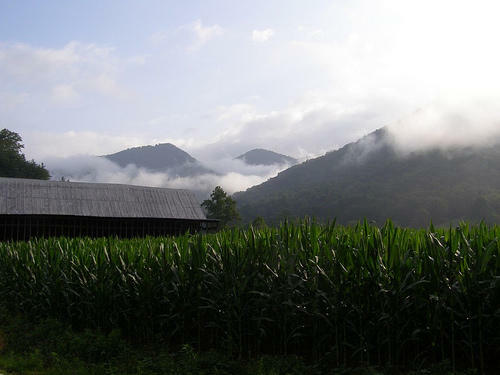 Record rainfalls across much of North Carolina have resulted in poor crop growth. When there's too much moisture, root systems often don't get a chance to develop fully, and certain nutrients, like nitrogen, also tend to be depleted. Carl Crozier, soil science professor and extension specialist at N.C. State, says it's a complex issue because of all the different types of soil in North Carolina. Crozier encourages farmers to learn about their soil types and to do routine testing to measure the amount of nutrients in the soil. Frequent sampling is especially important after periods of unusually wet weather. Residents of Orange and Durham counties are cleaning up after torrential rain led to flood waters several feet deep. Officials in Chapel Hill say rescuers evacuated at least 40 people Sunday from flooded homes and vehicles. They were taken to a Red Cross shelter at Smith Middle School. North Carolina’s drought conditions are better than they were one year ago. Last April, 53 counties were experiencing a moderate drought – the lowest of the four drought categories. This year only eight of the state’s 100 counties are currently receiving that classification.